what lies ahead for Crown Lands in NSW? Crown Lands are precious and irreplaceable. The draft Crown Lands Regulation 2017 and the Crown Lands Management Act 2016 will affect the use, management and potential transfer or sale of publicly owned lands across NSW. The new regulations will govern the proposed transference of Crown Lands to local government. Better Planning Network points out serious risks and problems in the current draft. Read BPN’s submission here. About half of NSW is Crown Land. Some of this land is for public use such as national parks, state forests, schools, hospitals, sporting, camping and recreation areas. There are also significant portions of Crown land that can be leased for commercial or agricultural purposes or developed and sold. 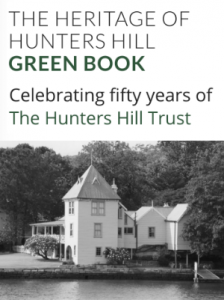 Read the submission sent by Hunters Hill Trust here. Send your own message (large or small) to the Department of Planning before October 15th: here is the link. Tagged green space, Planning. Bookmark permalink. Post a comment.